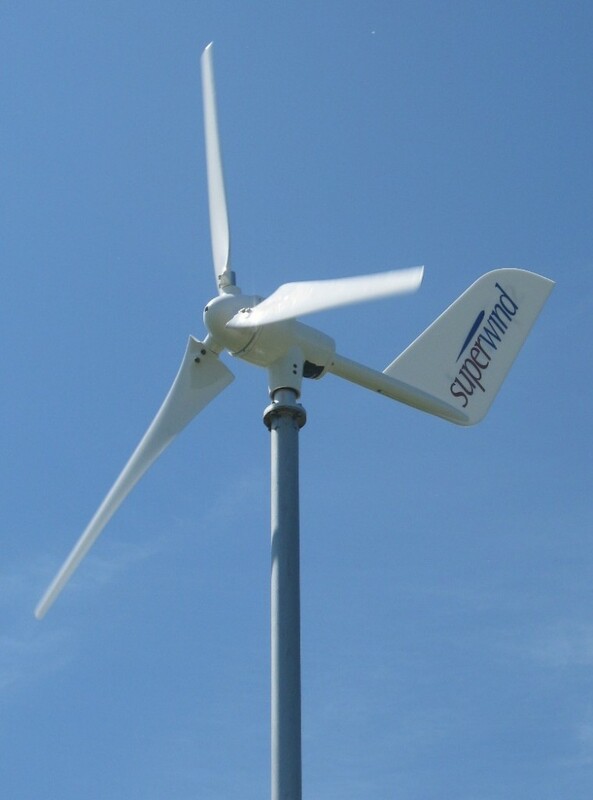 Superwind 1250 Turbine | Mission Critical Energy, Inc. 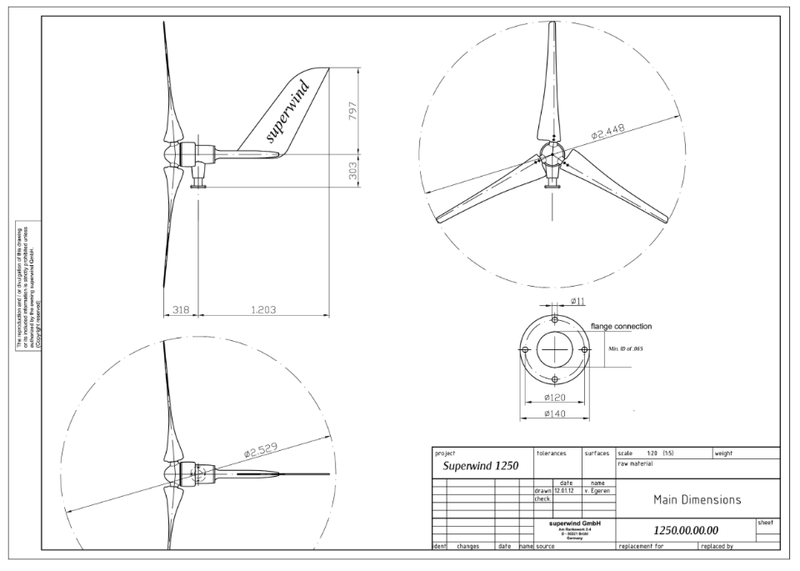 Within just a few years of the introduction of the superwind 350 turbine, featuring ground breaking technologies such as an auto-feathering blade set, extremely low noise levels and game-changing survival ability in high winds and storms, our best clients started asking us to consider making a larger wind turbine with the same attributes as the 350. As more clients started integrating our turbines into large off grid projects (often to save underpowered solar systems) it was not unusual to see large groupings of our smallest turbines helping with the heavy lifting at high peak load sites. In 2008 we could no longer ignore the customer demand for something larger than the superwind 350 – and something much more dependable than the cheap and unreliable 1000 watt turbines being churned out of India and China at that time and ever since. We polled our customers and listened carefully to fully understand all of their needs. The result is that we understood the new ideal 1000+ watt turbine would include even more technology than what was in the SW350 at that time. R&D to create such an ideal turbine was not going to be fast or inexpensive to be accomplished correctly – and it should never be done (as many wind companies do) as ‘experiments on customers’ nor on the backs of small investors. If the 1250 was going to be to the same high standards as the 350 turbine, it would have to be a true and honest long-term investment in micro-wind technology. Believing in that vision, Mission Critical Energy Inc. and Superwind GmbH signed a co-development agreement in April 2008 to develop the superwind 1250 without government grants and with only our own private funding. The product would be designed and engineered in Germany and manufactured both in Germany and the USA. What was also very important about the superwind 1250’s creation was that we would bring it to market only after years of testing – fully developed for end customer use. 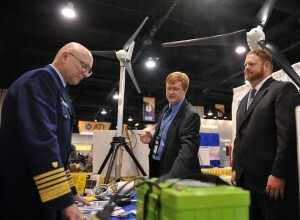 In 2012 the final Turbine version débuted at the Navy Leagues’ Air Sea Space Exposition in Washington D.C., letting the world know we were starting a rigorous three year testing period while also tooling up for higher production manufacturing by 2015. Today, our superwind 1250 is now out in the world making mission critical power for customers who appreciate well engineered and finely built equipment, have high load demands, and whose sites have good available wind energy. The superwind 1250 actually produces its rated power of 1250 watts at only 11.5 m/s, which is below the internationally accepted wind rating speed of 12.5 m/s. The bottom line (to this data) is that we make more power at average wind speeds than anyone had hoped. 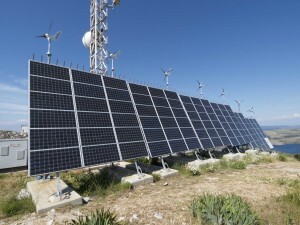 Of course energy output is a factor of available wind energy, so knowing your sites’ unique characteristics is key to planning. – click here for the actual 1250 power curve at varied wind speeds. Again, as this turbine came to be based on what our customers asked for, we also designed the turbine to be AC power out, so line losses would be kept to a minimum. This feature, for example, allows our Arctic clients to have the turbine some distance away from the base before its power is converted to DC for battery storage. 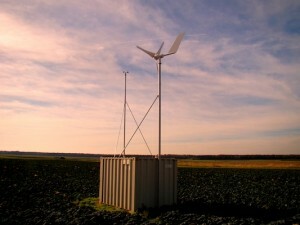 It also allows clients in modest wind areas to utilize taller mast rigs (allowing the turbine to be in higher, cleaner, more productive air) without sacrificing all the power gained to DC current losses and without having to run large (and expensive) heavy gauge copper wire to avoid resistance. In meeting the new Commercial Utility Standard of 2013, the superwind 1250 is available in 48v as well as the Military Standard of 24v – also known as ’28.8v ‘. Our customers had also asked us for a full stop brake system – more than just a short circuit magnetic brake that allows the turbine to spin in high winds. What this means for our Navy and Telecomm customers is that no matter the wind conditions, our customers can bring the turbine to a complete stop, allowing tower climbers or special Ops technicians to safely work near the turbine at any time they need to. The 1250 turbine, like its smaller 350 cousin, is also extremely quiet! We utilize the best balance procedures, the highest quality components and turbulator technology on our airfoils to keep vibration and noise to a minimum. Of course we also welcome you to contact any of our experienced staff or authorized international sales agents at any time. We are happy to help you better understand the equipment and whether it will be a benefit to your project. Don’t let a poorly worded RFQ or Bid buy you a hobby wind turbine! 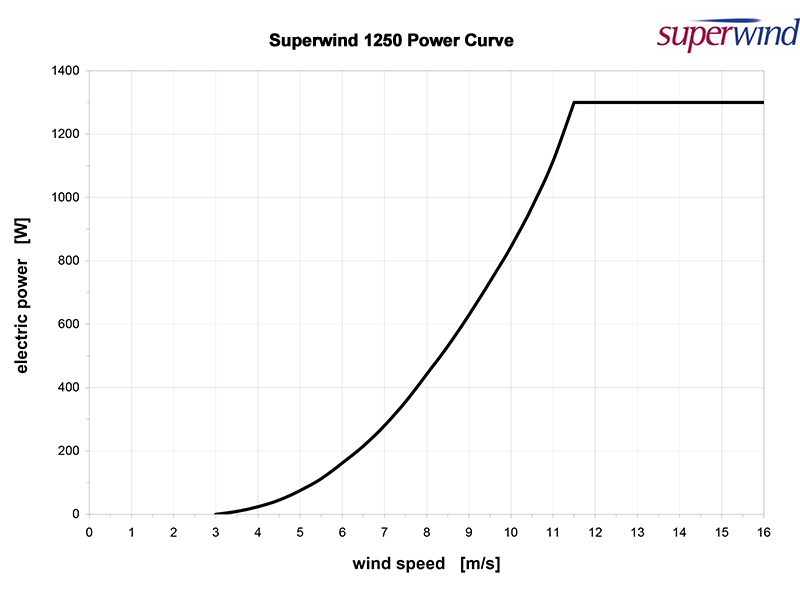 Click to learn how to spec a superwind. © 2019 Mission Critical Energy, Inc. All Rights Reserved.